With this CleanFreak 3 gallon handheld upholstery cleaner and carpet spotter, we've put together affordability and fantastic cleaning power in one unit. This unit weighs in at only 21 pounds, but add water to the solution tank and it approaches 50 pounds. This is where the back wheels come in handy, making it much more ergonomic to transport this spotter around. To give you an idea of what's involved to remove various stain that you may encounter please take a look at our handy stain removal chart. 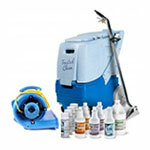 Any stain that is not truly set into your carpet or upholstery can be tackled with this great little upholstery cleaner. For other brands and model of spotters, please feel free to take a look through all of our carpet spotters to find just the right one for you. Solution line is ran inside of the vacuum hose for ease of use. 8' vacuum hose and industrial grade plastic tool power this commercial carpet spot cleaning machine. 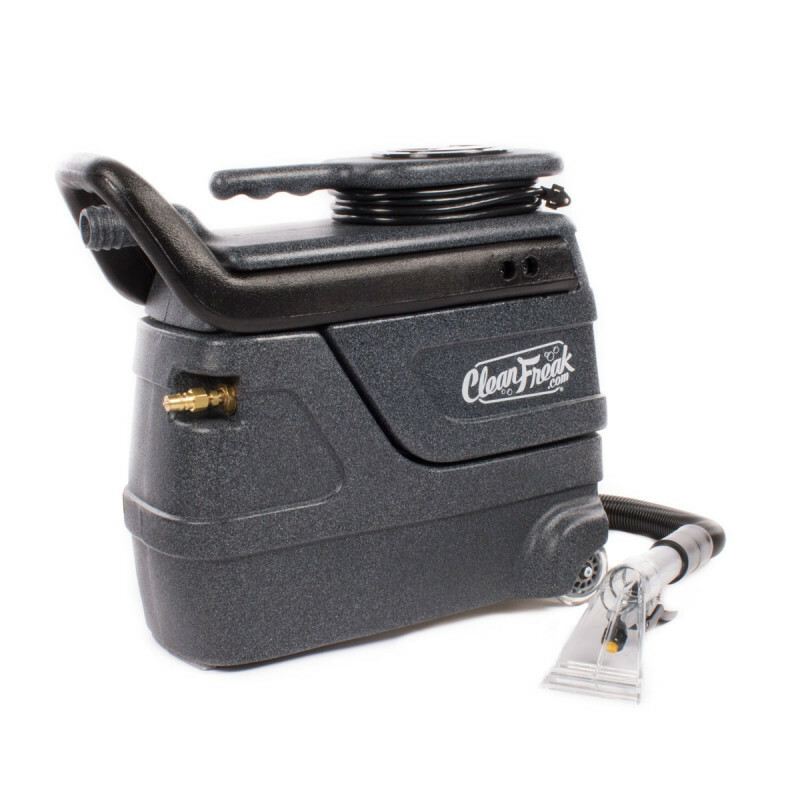 Lift off 3 gallon recovery tank makes dumping recovered solutions easy and efficient. Separate on/off switches for the pump & vacuum. Comes with a lifetime warranty on the tanks, 2 years on the vacuum motor & pump, 1 year on the electrical components, and 90 days on the tools & accessories. I cleaned carpets, upholstery, and investment grade rugs for over twenty years while also a full restoration company. I have bought, in the past, five of various types what I call "suitcase extractors" for small or quick jobs. I needed an extractor for my mother's home, mostly from soiling and "staining" from her two King Charles Cavalier spaniels which included: 1) vomit, 2) feces from one that was ill for a couple of days...3) soiling from wet leaves drug back into the house, and 4) some minor food spills when they get "treats" from her snacks.